Complaining about the greed of the big banks might be a national pastime, but often it’s completely justified. Take the National Australia Bank for example. On Thursday it announced a half-yearly cash profit of almost $3.3 billion. It’s an impressive result which shareholders have applauded. 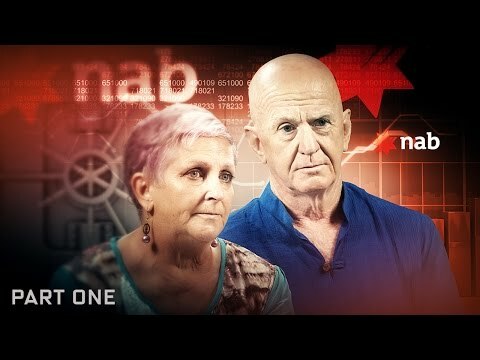 But to make such enormous amounts of money the bank needs people like Cathy and Terry Maloney – the North Queensland couple who were two of NAB’s most loyal and diligently honest customers. They ran a successful tourism business and prided themselves on never falling behind in their loan repayments. But as Ross Coulthart reports, the NAB’s treatment of the Maloneys is so diabolical it redefines the concept of bank bastardry. It started when the bank told the couple they must refinance their business, and then introduced them to – and insisted they work with – a convicted criminal who claimed he was a financial expert. The Maloneys didn’t stand a chance and they went from prosperity to poverty. But what is most alarming about this crook deal is that it could happen to anyone with a bank loan.